The Loyalty Awards are the leading awards in the travel loyalty industry, judged by a panel of industry experts, what makes them particularly valuable to the winners. Each year, we recognize innovations in different categories which have best managed to combine creativity with results. A judging panel of experienced loyalty professionals will review and assess all nominations received and will select the winners in an independent selection process. All information submitted will be considered confidential and not made public in any way, except where otherwise stated. 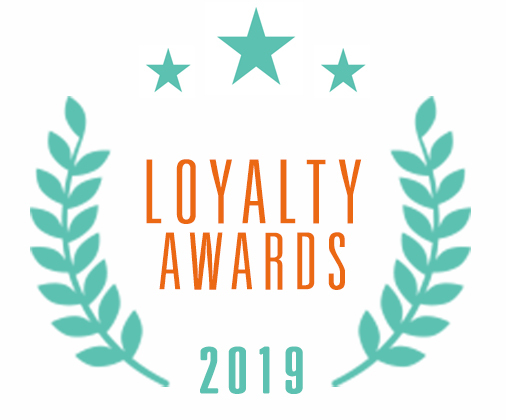 The Loyalty Awards 2019 will celebrate excellence in the field of loyalty and provide you with a unique opportunity to gain recognition in front of a global loyalty audience. Winning or being nominated is great publicity for your company, demonstrating the brilliant work your team has completed over the last twelve months. Make sure they get the recognition they deserve by entering! Winners will be invited to join a panel session on the closing day of the event, alongside the other category winners to showcase their initiative to the rest of the conference audience. Previous winners have demonstrated creative solutions to loyalty challenges and have achieved proven success with their strategies. Past winners, among others, include: Air France KLM, Air New Zealand, British Airways, Emirates, Finnair, Iberia, Norwegian Reward, Qantas, Shangri-La, Topaz Energy and Velocity. The winners will be presented a trophy with their logo engraved. Beyond that, we support all winners with full support to maximise their exposure, incl. By the way, the Awards also represent an excellent opportunity for sponsors to be associated with these best-in-class programs! Learn more about these opportunities here. *You must be a sponsor of the event to enter the Best Supplier Innovation Award. • All nominations need to be submitted by Wednesday, 12 December 2018. Suppliers only may enter until 18 January 2019. • Airlines/partners may choose to enter in several categories, but only one entry per category is allowed. • Entries for the category "Best Supplier Innovation" are not available to airlines/partners. The “Best Supplier Innovation” is exclusive to suppliers with a minimum spend of 1,000 EUR on sponsorship items at the event, and suppliers may not enter in any other category. • Airlines/partners: An executive representative of your company needs to be available to join the winners’ panel that will be held on 20 February 2019 at the event in Paris. Winners/shortlisted candidates will not be published upfront and will be announced at the Awards gala dinner on 19 February 2019. • Suppliers: The three top nominations as determined by the judging panel will be invited to present their case in front of the audience on 19 February 2019 during a 8-minute presentation. In that case, an executive representative of your company needs to be available for that presentation. All nominees will be informed by 05 February 2019 whether they figure among the three top nominations or not, but names will not be made public ahead of the event. The overall winner will be announced at the Awards gala dinner on 19 February 2019. • The innovation/achievement your nomination refers to must have been launched in 2018. • Your nomination must include clear KPIs underlining the success of your initiative. • Your entry must be submitted online over the conference website. It must consist of a full description with a maximum of 500 words and a 50-word summary. The summary will be made public. Optional supporting material can be submitted in addition to your entry as required. Entry is open to any loyalty program operators including airlines and non-airline loyalty program partners that have completed a new project or initiative in 2018. Suppliers/consultants are only able to apply for the Best Supplier Innovation category, but we encourage them to work with their airline/partner clients to produce a nomination for the other four categories. Supplier entries are only accepted from sponsors spending a minimum amount of 1,000 EUR on sponsorship items at the event. Nominations need to be submitted by Wednesday, 12 December 2018 (Friday, 18 January 2019 for suppliers only). Please read the category descriptions above and select the best fit for your project or initiative. However, if the judges believe your entry would be more successful in another category, they will inform you directly. Organisations can submit an entry for multiple categories, however, an entry form must be submitted for each award you enter. Past winners have demonstrated creative thinking, innovative implementation and proven success. For more top tips - click here! The winners will be announced during the Gala Dinner held on Tuesday, 19 February 2019. Submitting a nomination is free of charge, but we require attendance of at least one delegate at the event (airlines/partners) and a minimum spend on sponsorship items of 1,000 EUR for suppliers. Give yourself plenty of time to complete your entry. Writing against a deadline leads to rushing and compromise - give yourself the chance to submit your best possible entry. Submitting last minute won't give us a chance to get back to you if we feel that any enhancement to your nomination might increase your chances to win. Make sure the category you have chosen is relevant to your project or initiative. Sometimes it can even happen that companies submit the same initiative in two categories with a slightly different description of the content. If you feel your initiative would fit well in two categories, please feel free to take this approach and your nomination will be considered under both categories separately. Avoid over-technical language and unexplained acronyms, especially those specific to your company. Specific facts and figures make things easy to understand and will ensure the judges can extract the relevant information quickly and easily. The quicker you get to the point, the easier it will be for the judges to understand the key elements. While the judges all have relevant experience, they won’t necessarily know the intricacies of your program. If it’s relevant to your entry, then describe the particular challenges you face. It is mandatory to go beyond marketing materials and provide concrete insights as to how successful your initiative was. Nominations will be judged in terms of creativity and results. Not providing sufficient insights into the results will not give you any chance to win. All information provided is confidential (except for the 50-word summary), so you can be assured that anything you provide will stay confidential to the judges. Judges take into account the relative size of each company involved and make their decision on the basis of the evidence in front of them. Small companies have succeeded in several categories in previous years. If you are going to include supporting materials; independent feedback, quotes or weblinks within your entry, then some guidance and context as to what they contain and why they are relevant is important. Tables, graphs, diagrams or images are usually very helpful and should be provided as supporting material.